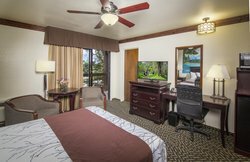 Rise and shine in our bright and light-filled lodgings in Oakhurst, California and step out onto a private balcony or patio to enjoy the view. If you’re on a trip with the whole family, we know that that can include your four-legged family members too! We are a pet-friendly hotel. For guests with allergies, we have an entire building which is pet-free. Get in touch with us for more details, and read our policies for more details about bringing your pets to the hotel. From your room, it’s a quick walk through our scenic property to sit down for a meal at Oakhurst Grill & Whiskey 41 Lounge, our on-site restaurant, or visit our remarkable indoor pool. 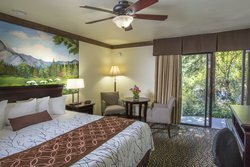 One of the top reasons to stay in our Oakhurst lodgings is our amazing amenities, including our pool, event spaces, and quaint, small-town charm just outside Yosemite. 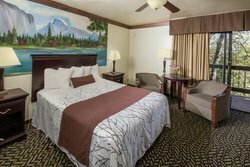 This spacious room features one deluxe queen bed and all of our signature amenities, including free Wi-Fi, cable TV, a refrigerator, and microwave. 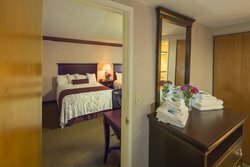 This lovely room features two queen beds and all of our signature amenities, including free Wi-Fi, cable TV, refrigerators and microwaves. 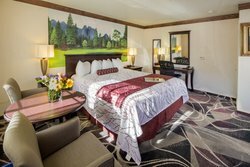 Perfect for a romantic getaway, this beautiful and quiet hotel room in Oakhurst, California features a plush king-sized bed and a patio or balcony with gorgeous views that inspire love. 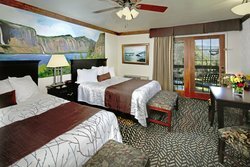 A beautiful retreat for larger families, this two-room suite features three deluxe queen beds and comfortable queen-sized sofa bed so you can sleep up to 8. 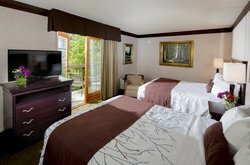 This spacious two-room family suite features three deluxe queen beds that can accommodate up to six people, plus all of our generous amenities. 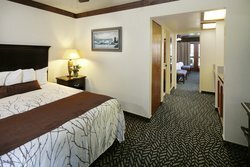 This spacious and comfortable room features two king-sized beds, all of our signature hotel amenities and sleeps up to four people in style. 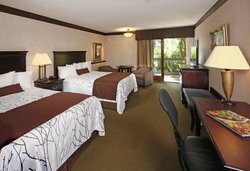 This spacious two-room suite features two queen beds and queen sofa bed and signature amenities, including two flat-screen TVs, a refrigerator, microwave and voicemail. 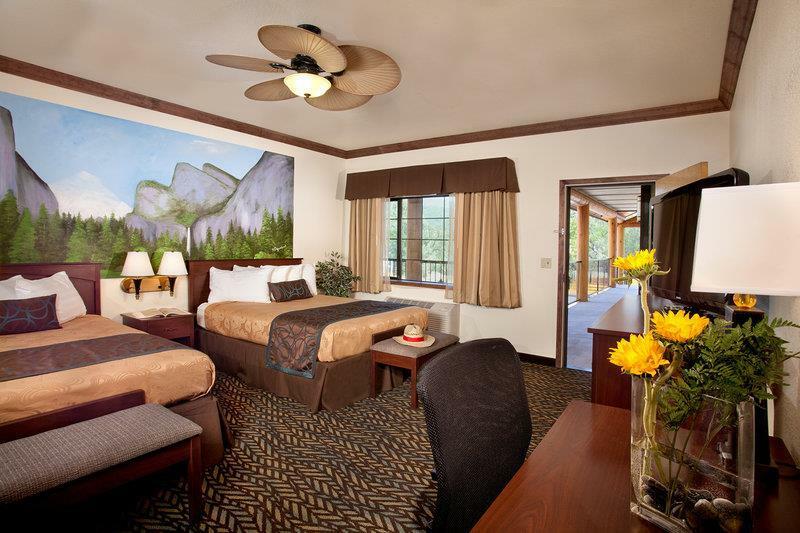 With lots of space, this lodging in Oakhurst, CA is a comfortable retreat for six people.